The computer is a 2 Ghz P4 processor with 1 gig of memory. Right now it only has a 16mb video card. The hard drive is 40 gigs. It's on my local network from an on-board 100mbs card. I keep the cover off the case for cooling. 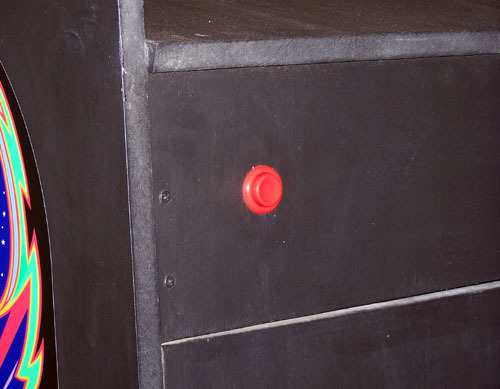 The ATX power button has been extended to a red arcade button on the back of the cabinet. 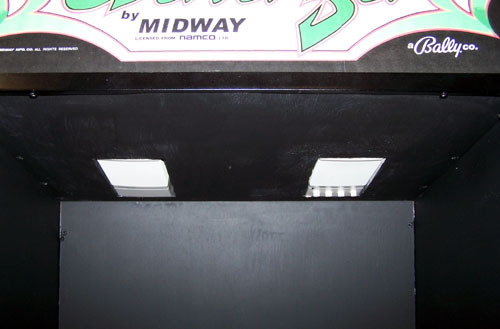 The monitor is a 19" turned sideways to be able to fully utilize vertical games like Galaga. 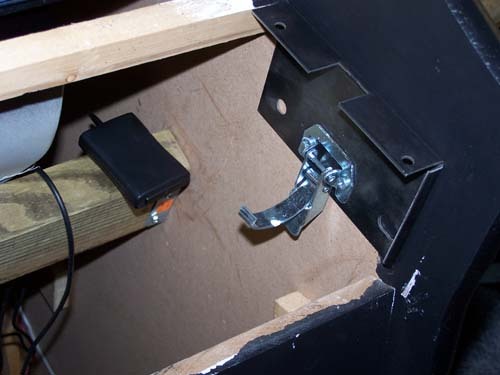 The case fan has been extended to the door of the cabinet. 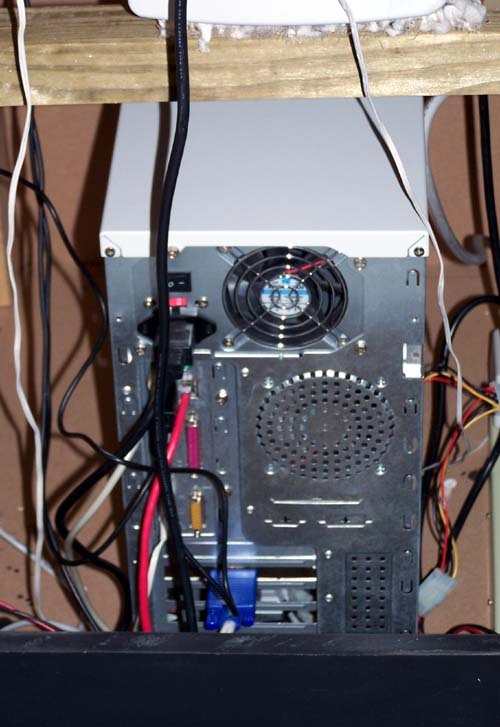 It is about the same height as the power supply fan in the machine. 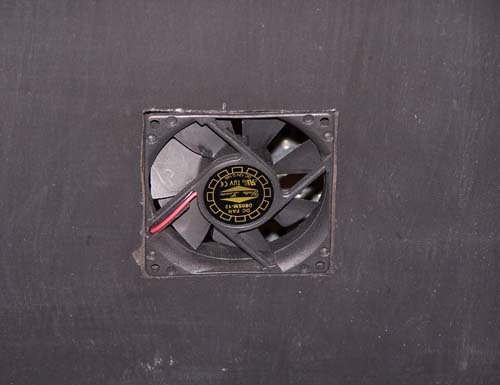 So it will blow air to this fan which pushes it out the cab. It seems to work very well. I thought I would need more fans and/or venting but it really stays pretty cool in there. 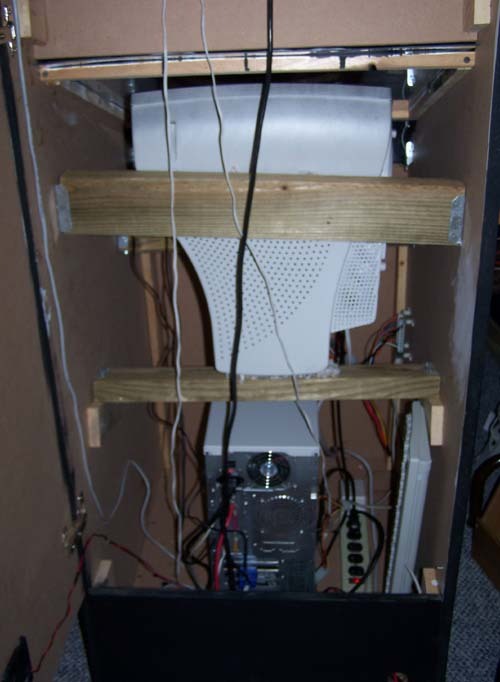 Notice the power cord and network cable in the second picture below. Since my CP only has player one controls, I decided to let player two use a game pad. So I got a Logitech Wireless Gamepad. You can see the wireless transmitter/receiver in the second pic. 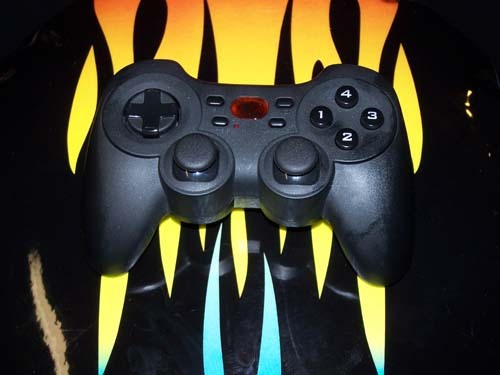 Note the gamepad is sitting on my flame graphic bar stool. My five year old son Isaac usually uses the gamepad and sits on the bar stool when playing. I mounted a set of PC speakers under the marquee. 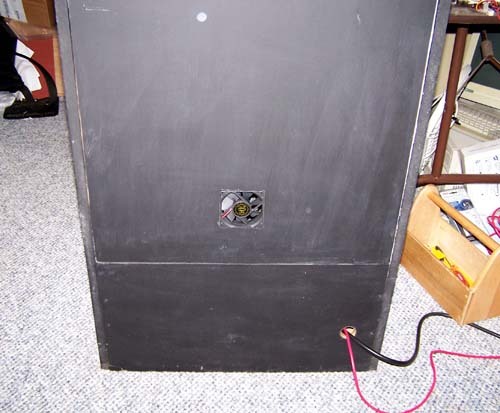 The ATX power supply was extended to an arcade fire button on the back of the cab.